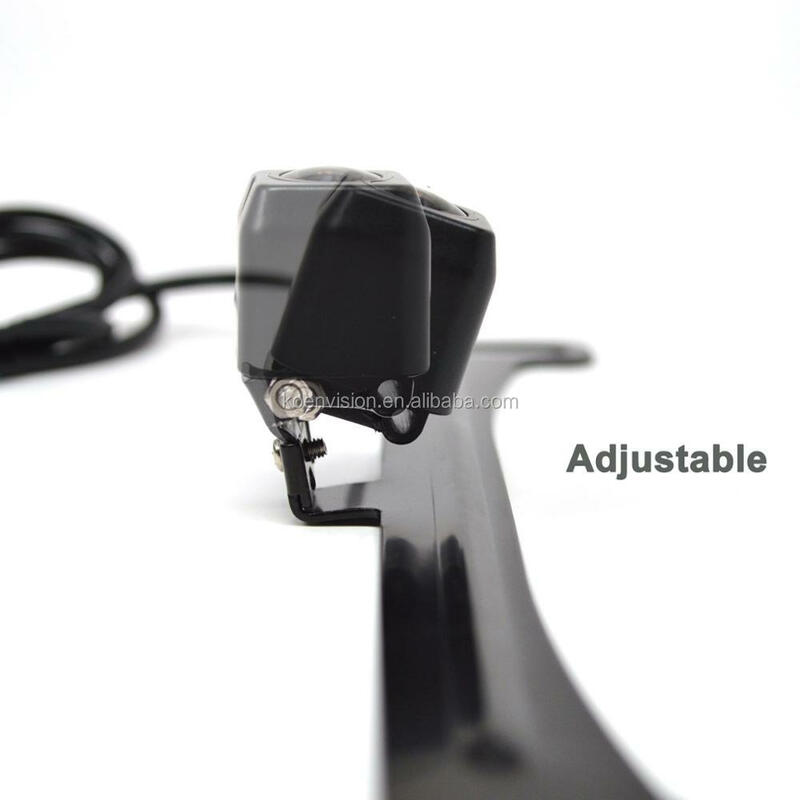 Day/night sensor for automatic adjustment, minimum illumination auto fill. 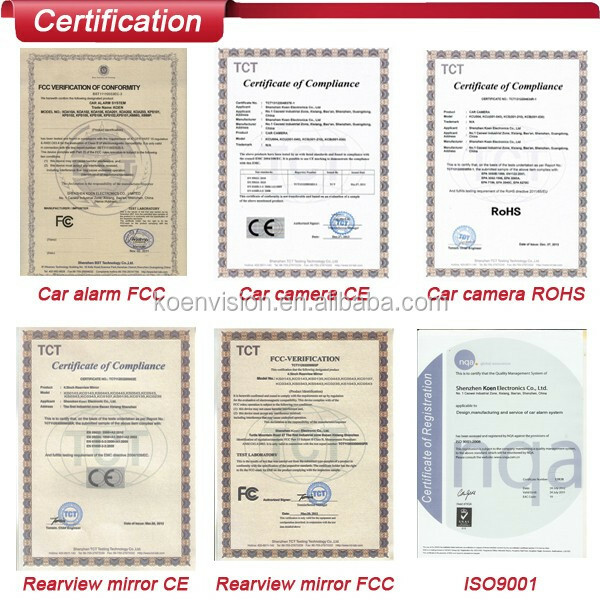 Shenzhen Koen Electronis company has more than 8 years' experience in OEM and ODM of auto electronics, such as parking sensors, car DVR, rearview mirrors, cameras and monitors. 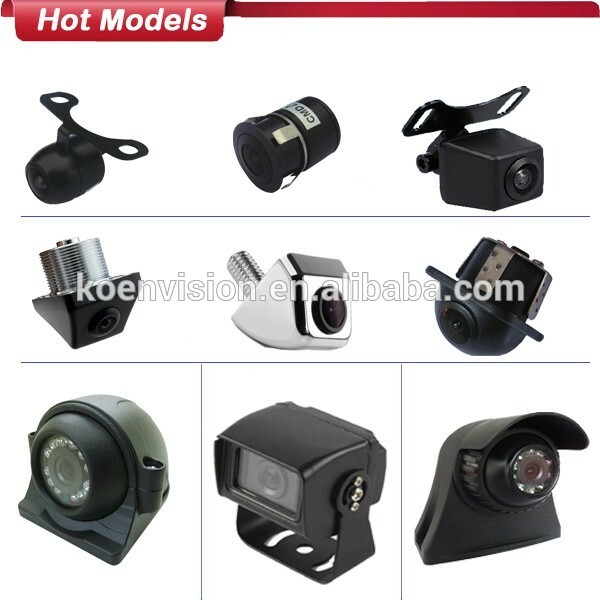 Customized Package Available For MOQ 1000PCS, Mix Order For Different Models Acceptable. Delivery time for samples are within 3 working days. 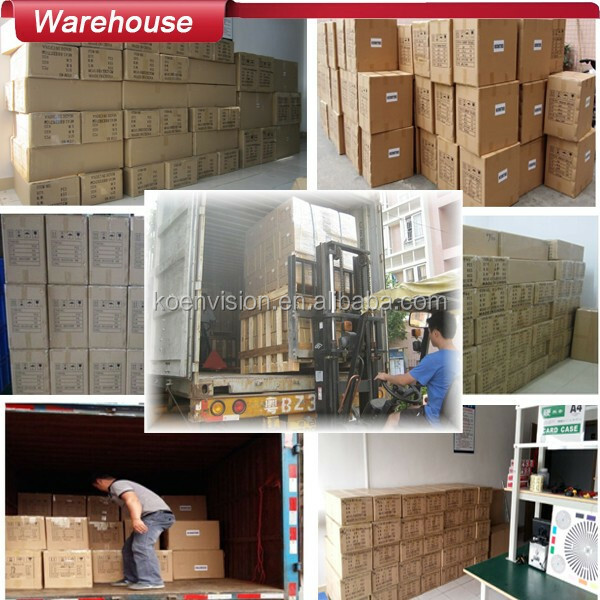 Delivery time for order less than 1000PCS, within 7 working days. 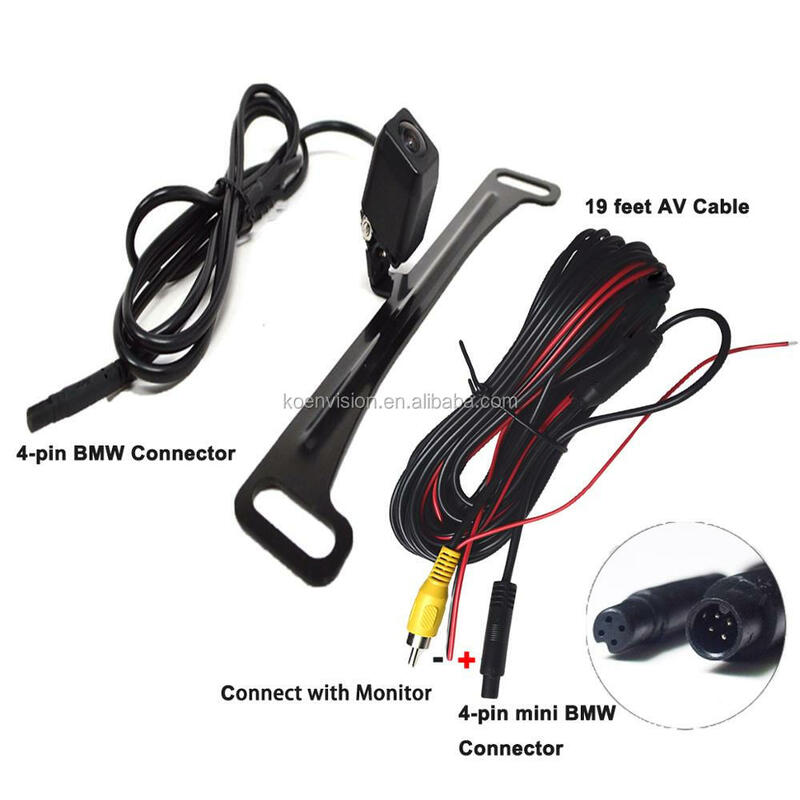 For order more than 5000PCS, within 15 working days. 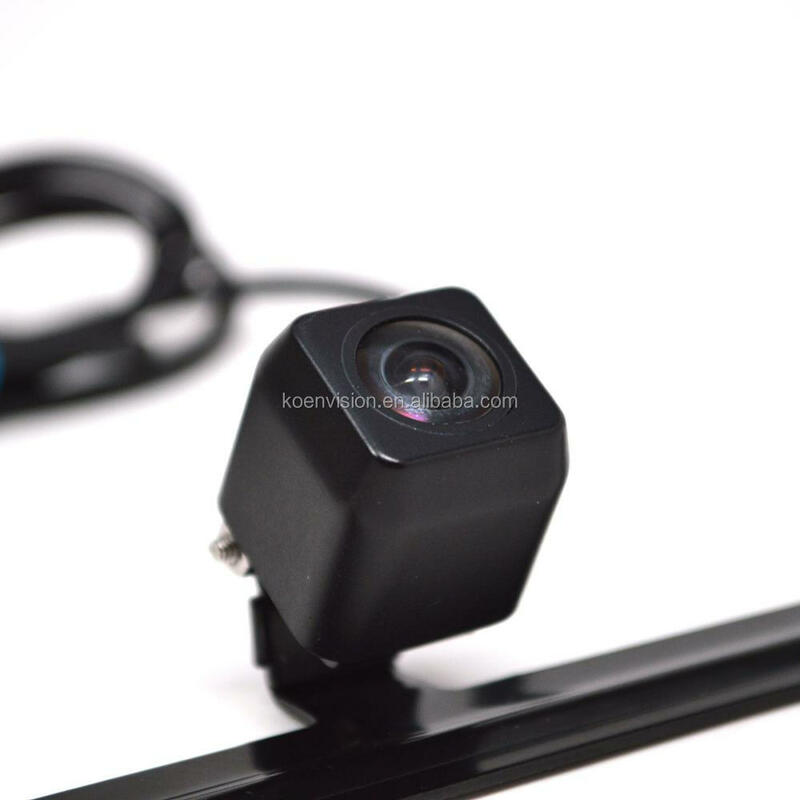 1.Q : Which image sensor do you use for the camera? Q2: What the material of your camera lens? A2: Five level glass (not plastic) can ensure the constant clarity of your camera. Q3: Is your camera with parking guide lines? A3: Yes, it's up to you. 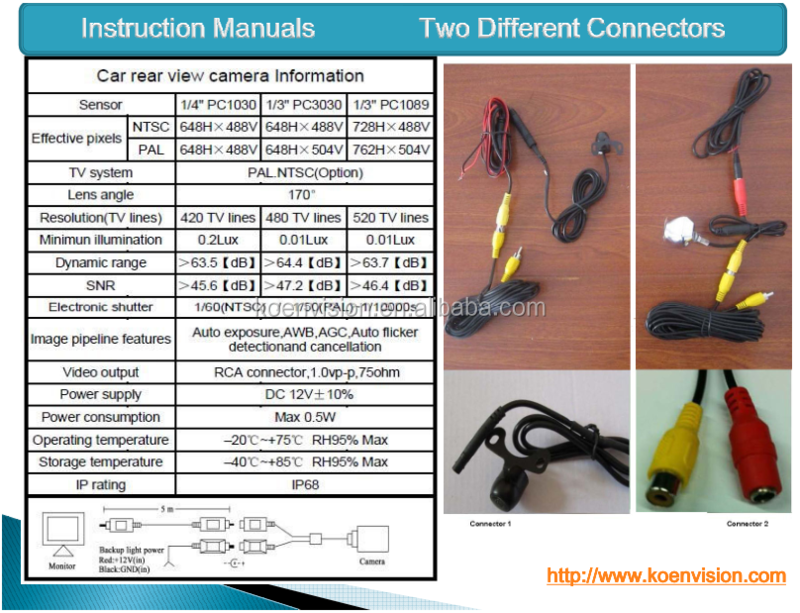 You can choose cameras with parking guide line or with choose cable (with or without parking guide line). Q4: Is your camera waterproof? A4: Yes. We put each camera into water 1 meter deep testing for 4 hours. 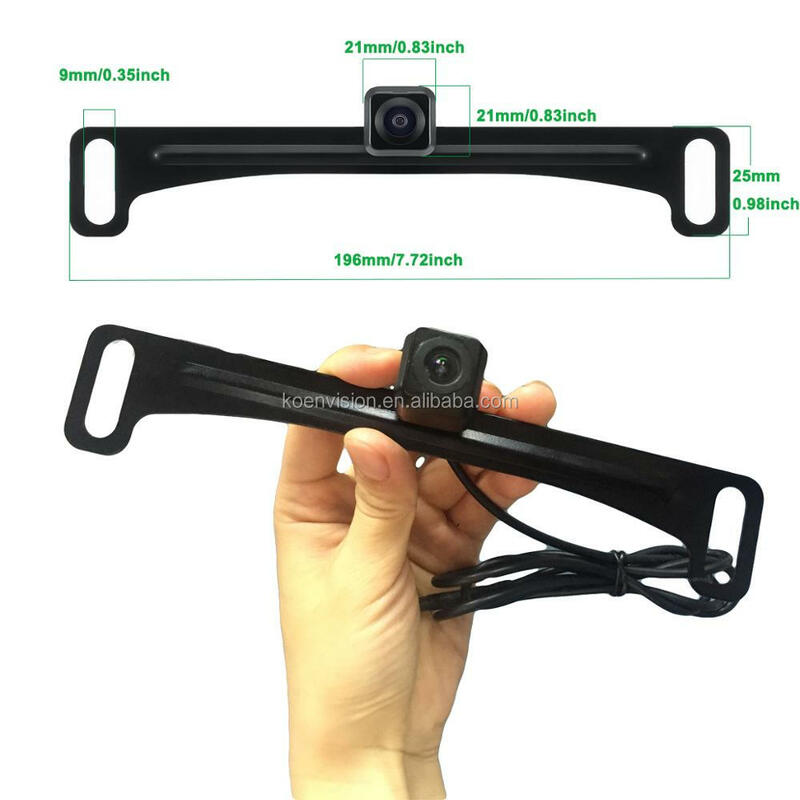 Car camera is waterproof IP67. Bus/ Truck camera is waterproof IP68. 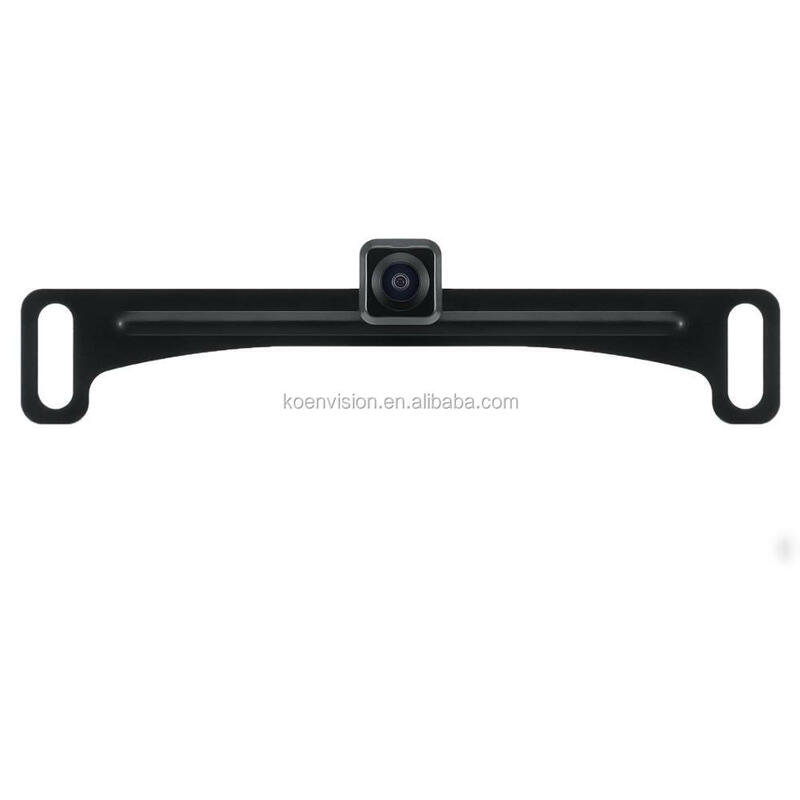 Q5: Do your factory provide camera OEM? A5: Yes, you are welcomed. 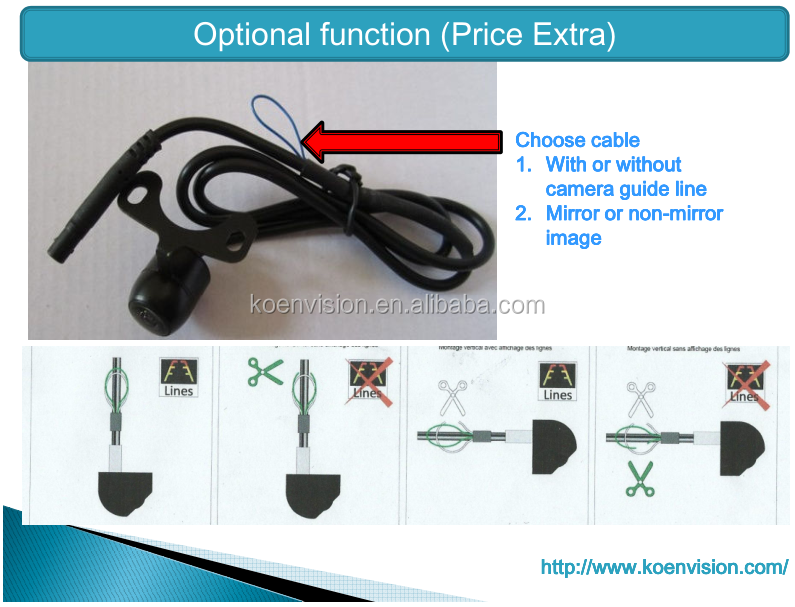 We can customize camera cable length, camera lens and etc. Q6: What's the delivery time? A6: 3 days for sample order, within 7 days for regular order, about two weeks for container. Q7: What is your warranty? A7: All products with 12 months quality warranty. Q8: What is your MOQ? 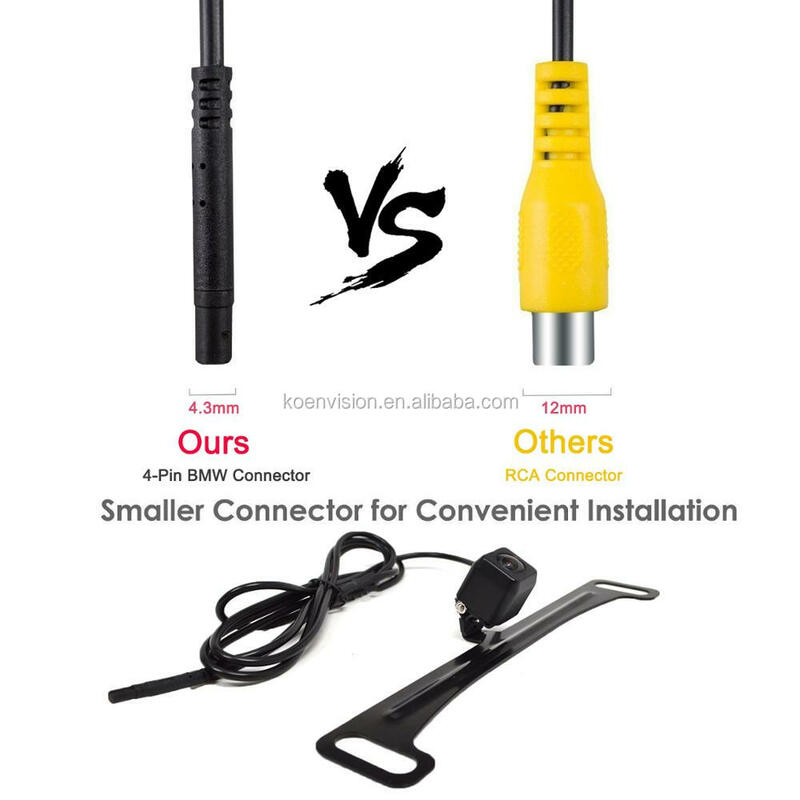 A8: 1 pc for each model, trial order acceptable. Q9: What are your payment methods? 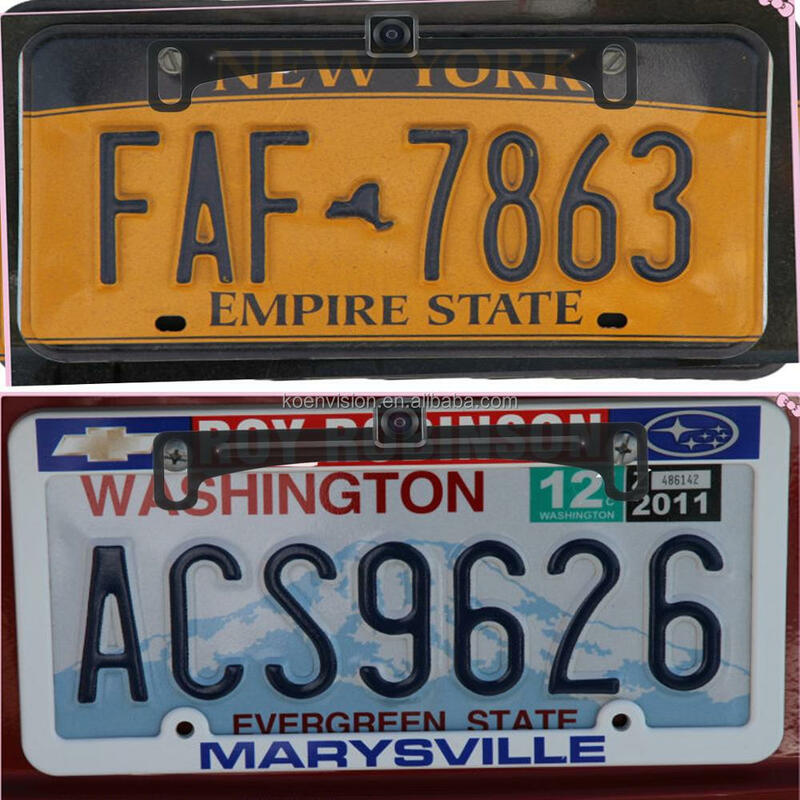 A9: 30% T/T in advance or Western Union, Paypal (for samples). 100% paid before delivery. Q 10: Why choose us? A: 1)We provide 7*24-hour customer service. 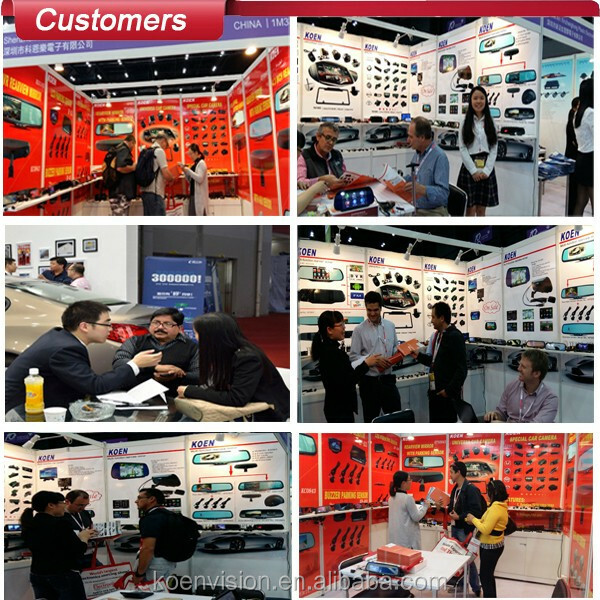 ♥ If you want to know more about our products and company, welcome to contact us at any time. we will reply you in 5 minutes! 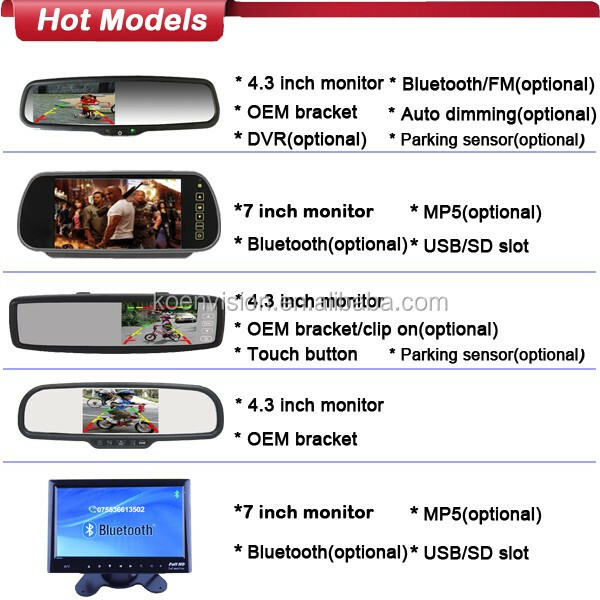 so, if you cannot see the product you are looking for, please contact us today! 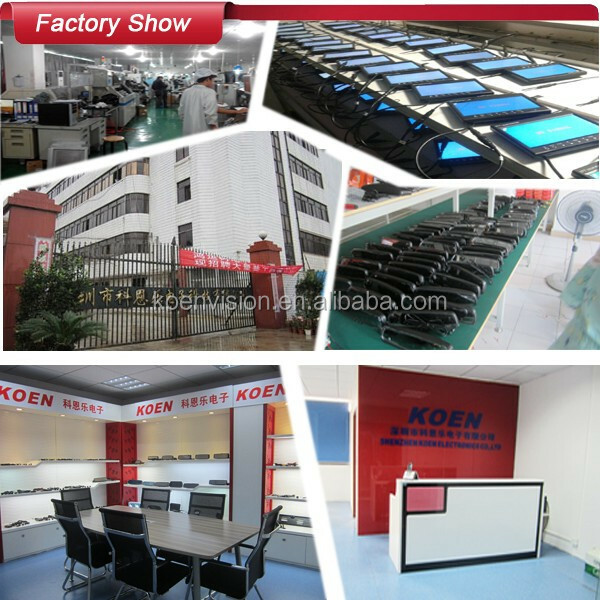 Shenzhen Koen Electronics Co., Ltd.